Spring is hopping its way here fast! Easter is one of my most favorite times of the year for many reasons; from it being a season of great Joy and forgiveness to the simple reasons of blooming flowers and warmer weather. Welcoming spring always makes me look forward to fun festivities like; dying eggs and having a good old-fashioned Easter egg hunt! The following is a list of local events and activities you won’t want to miss this Spring 2019. You can also find all these event details on The Playful Parents calendar (I update the article and print friendly list as I collect data. If you have a event to add please email me at theplayfulparent@yahoo.com.) GIVEAWAY RULES AT THE BOTTOM OF THE PAGE. Details: Michaels Craft store offers kids club crafts every Saturday. Through out March and April the theme will be on Easter and Spring related. Details: The Easter Bunny will be awaiting visits by each child, so bring the camera for a great photo op! And did we mention, your child will have fun with favorite My Gym activities, glow in the dark egg hunt, and explore time while you wait. Snacks will be served. (Up to age 6) Advance registration is required! Details: The Easter Bunny will be awaiting visits by each child, so bring the camera for a great photo op! And did we mention, your child will have fun with favorite My Gym activities, glow in the dark egg hunt, and explore time while you wait. Snacks will be served. (Up to age 10) Advance registration is required! Details: Meet the National Colonial Farm’s new baby lambs and calves at the 5th Annual Lattes with Lambs! Enjoy coffee from Wee bean Coffee Roasters and Krispy Kreme donuts, sheep shearing demonstrations, milking demonstrations, wool spinning demonstrations, a 4-H livestock show, and live music by Broad Run String Band. Details: On Saturday, April 6 from Noon – 5PM, St. Charles Towne Center will have our Indoor Easter Egg Hunt & Spring Egg-stravaganza…It’s five full hours of Family Fun! Details: Parents & Guardians are invited to spend quality time with their children and paint Easter/Springtime designs on an 11” x 14” canvas during St. Charles Towne Center’s Spring Eggstravaganza. You do not have to be an artist to create one of these masterpieces! Wonderfully Made4You will guide you through the process. Please note the session starting times for each canvas design. Any questions please call us 240-389-5824. Cost: Space is limited. The cost per canvas is $20 and is paid at the time of your session. Advance purchase online is also available to secure your seat. Details: Caring Bunny provides an exclusive, subdued and welcoming environment for children with special needs and their families. Details: Ticket includes lunch, carnival & guessing games, 4-H bunnies display, children’s craft-making, door prizes and Easter egg hunt. Photo with the Easter Bunny $1.00 each. Details: Hop into Toddler Time at Sky Zone Waldorf on Thursday, March 29 from 10 am-12 noon for some Easter FUN! Join us as we hunt for eggs, take pictures with the Easter Bunny and create a cool craft! Available to walking age – 5 years old. Cost: Price is $13 for first toddler, $10 per additional toddler, $7 per parent. Reusable Sky Socks are $2 per pair. Description: Speical Easter themed totsicles. Totsicles is a half-hour of self-paced orientation to movement on ice, followed by a cup of hot cocoa and a story read aloud in our warm lobby. Stickers for all after storytime! Children may wear skates or shoes for snow and ice (no smooth-sole or open-toe shoes). Adults wear shoes for snow and ice. Details: Join in the fun for United Ways inaugural Easter Egg-Stravaganza! Southern Maryland’s largest Easter egg hunt will be held April 13, 2019 from 10am – 2pm at the Charles County Fairgrounds! Details: Photos with the bunny! Details: Hop on over to AR Workshop for some Spring and Easter Crafternoon fun with the family! Make a Canvas Easter Egg Tote or our specialty Mini Wood Signs! (One registrant can make 1 mini wood sign for $15, or 2 for $25). Perfect for even the youngest DIYers! Details: Special Parents night out egg celebration. Also, be sure to check their site for Spring Break camps and other fun events March-April. Details: Join us Saturday April 13th for our community wide Easter egg Hunt! All ages are welcome and there will be food trucks, music, games, bounce houses, concessions, and fun for the entire family!!! Admission is FREE! For more information or if you are interested in volunteering, please give us a call at 301-609-8423 or email us at info@newlife.live . We can’t wait to see you there! Details: A fun hunt for Easter eggs will entertain children, while youth and adults are invited to fellowship as we all prepare for Easter! Details: Families with children in 5th grade and younger are invited to join the fun as we head into Holy Week together. There will be crafts, games, story time and of course an egg hunt! 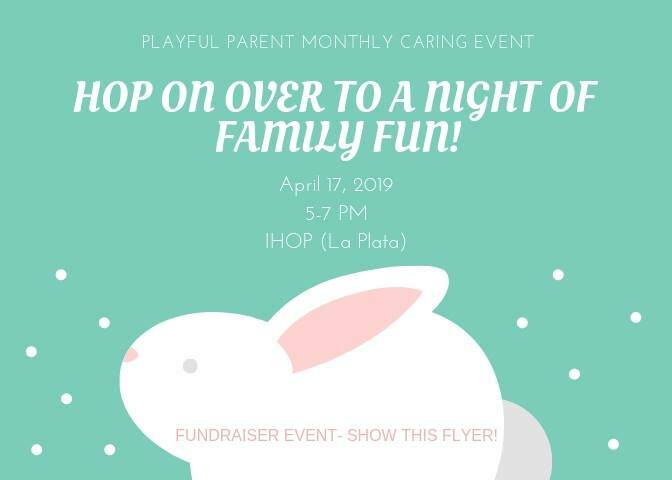 Details: This event is set for April 17, 2019 at IHOP in La Plata from 5-7 PM. 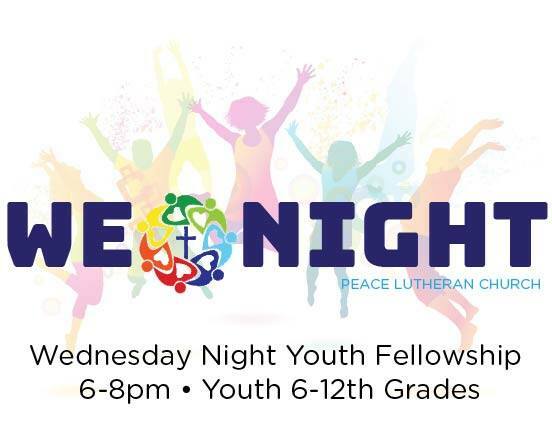 This family fun night is great for kids of all ages! The Playful Parent will have spring themed crafts and other fun activities to keep the littles entertained! Please present this flyer to the cashier as this is a fundraiser event. Details: Bring your swimsuit and goggles to help the Easter Bunny collect his eggs – IN THE POOL! There will be an underwater egg hunt, fun activities, and a visit from the Easter Bunny. Pre-registration is required. Registration at the door accepted based on availability. Details: Egg hunt is for ages 0-10, but all are welcome to come out and enjoy the festivities. Cost: A donation of $3/ child is requested. Details: There will be professional photos with the Easter bunny, an Easter egg hunt for each age range, face painting, prizes, raffles and much more! ALL PROCEEDS BENEFIT FARMING 4 HUNGER! Please be sure to invite your friends, family, and co-workers! Please RSVP through our Event Bright link (https://www.eventbrite.com/e/1st-annual-easter-egg-hunt-for-hunger-tickets-58115073750) so we know how many people to expect. Details: 5th annual Community Easter event is fun for the whole family with egg hunts for kids ages 1-5 & 6-10, photos with the bunny, moonbounce, petting zoo, games and lots of prizes. Don’t forget to bring your basket. Details: Everyone is welcome to the Easter Egg Hunt. Plan to be there, spread the word and bring your friends. This helicopter egg drop is always a lot of fun! Details:Face painting, dance contest, clown,egg hunt, music chairs contest! Purchase tickets in advanced see link. Details: A wonderful family time of games, face painting, a puppet show and an Easter Egg Hunt. Details: Egg hunt, photos with the bunny, crafts and more. Details: Hop on in for a sweet treat with the Easter Bunny! Stop by the La Plata Town Hall on the Monday after Easter, April 17th from 11 AM to 1 PM. Bring the kids for sweet treat, crafts and visit with the Easter Bunny. Details: Spring is in the air, and we are planning for a fun workshop on Saturday, March 23 from 10A-12P for $5. For our Lobby Littles: Spring Workshop, we are going to make rice krispy nests! Each kid makes two nests in our shop that come complete with chocolate eggs, edible grass, our house-made buttercream frosting, and more little decorations. Sign-up for your time slot today, and join us on the fun! Proceeds support the missions of End Hunger In Calvert County + Honduras Compassion Partners. Details: Come shop local crafters and direct sales vendors, purchase lunch and a homemade baked good, take your chance on some fun raffles. All proceeds to benefit our Therapeutic Summer Day Camp! Details: Come out and enjoy breakfast prepared by members of the Department and Auxiliary. Be sure to bring your camera and grab a picture with the Easter Bunny afterwards. Menu: Pancakes, Sausage, Bacon, Scrambled Eggs, Home Fries, Baked Apple Dessert, Coffee, Tea and Milk. Details: The Prince Frederick Volunteer Rescue Squad invites you all to bring your family and enjoy a home cooked breakfast. We are serving bacon, sausage, scrambled eggs, pancakes, waffles, hash browns, juices, milk, and coffee. Bring your camera and get a picture with the Easter Bunny! Details: Join Home Towne Real Estate and The Sammons Team for the first Home Towne Easter Extravaganza! Saturday – April 6th from 11:00-3:00 at Spider Hall Farm. This is a FREE event for all! There will be Easter Bunny photo ops, Easter egg hunt, photo booth, face painting, as well as a bounce house & slide! Details: Bowl with the Easter Bunny includes 2 hours of bowling, shoes, snack, craft, goody bag and pictures with the Easter Bunny. Details: Join with your family and community for a fun-filled Easter Egg Hunt and cupcake-decorating event. All kids up to 10 years of age can participate. Begins promptly at 11:00 am. A surprise in every egg! Come and join the fun! Details: Breakfast with the Easter Bunny! Details: Tea with the Easter Bunny, & Egg Hunt, wear your Easter hats and dresses.. Lots of pictures too. Call for reservations 240-299-4349 Or stop by the Boutique. Details: Enjoy an over-the-top magical afternoon of creative play, games, unicorn rides, a petting zoo, face painting, crafts and more! Meet the Chesapeake Mermaid and the Green Man of the Forest. Journey to the magical realms of Fairy Lolly, Stone Spire Circle, Bubblelandia, Gnomeville, Treetopia, Land of Mystical Creatures, and The Dragon’s Lair. Build your own fairy house or gnome home, make a journey stick, craft a fairy house finder, make a pinecone suncatcher, visit the Wishing Tree, and engage in a variety of imaginative activities! It’s an unforgettable day in the garden! Music, food, and drinks will be available as well! Details: Join Therapeutic Recreation Services for our annual egg hunt designed specifically for children with various disabilities. This event will be held on the playground next to fields 1, 2, and 3. Pre-registration is required to ensure enough prizes will be available for all children. Details: Bring your little ones to hunt for lots of colored eggs, some of which are prize eggs. Each child is allowed one prize. This event is open to 1 to 4 year olds only! The Easter Bunny will visit and be available for pictures. Please pre-register for this event. Details: On one very extraordinary day, children with special needs can visit the Easter bunny in a “sensory friendly” atmosphere. Games and other fun will be held in a separate area while they wait for their visit with the Easter Bunny. Pre-registration is required. Details: Come enjoy a light pancake breakfast with us. After we finish, the Easter Bunny will be available for pictures with all participants. If you intend on eating breakfast, please ensure you register for the event. Details: Bring the kids and grands and come on out for the Annual Colonial Beach Easter Egg Hunt on Town HIll. Make a memory! Details: Back by popular demand! Look for eggs with real fossils inside, hidden throughout the museum. Participants will be given a container for egg collection; no baskets are needed! After finishing your hunt, docents will identify your fossil finds. A follow-up activity will allow you to “excavate” fossils from matrix, using the tools of a paleontologist. Activities planned for ages 3 – 10. Program is included with museum admission. Details: Experience, discover, learn, and have fun exploring the “what, where, and how’s” of ar-chaeology! Demonstrations, tours, and activities for budding archaeologists of any age! Come for Discovering Archaeology Day and stay for the free Egg Hunt at 1:00 PM. Details: Come early for the egg hunt and stay for the activities including: Coloring Contest, Bubble Fun, Arts and Crafts, Music, Dancing and Picture Time with Peter Rabbit! Our Easter event is designed for toddlers to children 12 years of age. First 100 children will be able to dye an egg. All children can participate in the hunt, which will begin promptly at 1:15 p.m. Bring a white t-shirt to make your own spring time tie-dye (shirts will also be available for purchase). Details: Easter Egg Festival is annual event you won’t want to miss. Activities include: A Easter egg hunt, pictures with the Easter Bunny, fun crafts, food and more. Details: This breakfast will be a special one as there will be a visit from the Easter Bunny and also an Easter Egg Hunt for the children attending the breakfast! Remember to bring a bag to collect as many Easter eggs that will be hidden to find! Menu Includes: Scrambled Eggs, Pancakes, Sausage, Bacon, Scrapple, Home Fries, Sausage Gravy, Cream Chip Beef, Biscuits & Toast, Fruit and more! Details: It’s that time of year! Once of our very favorite events of the year where we dip those delicious PEEPS in chocolate and decorate to your heart’s content! This event is fun for the entire family. Peeps will be $1 each and there is no limit to how many you can decorate. We will also have house-made marshmallow available to be dipped and decorated as well. While you’re there, pick up some Easter candies to fill up your baskets! Can’t wait to see you! Details: Tea, Beverages, Sandwiches and Desserts, Hair Salon for Dolls, Custom Doll Clothing, Photo Booth, Grab Bags, Door Prizes and Bow Shop and much more. Details: Vandermere Farm in Leonardtown is having a free spring Unicorn 🦄 Festival & Fundraiser to benefit St. Mary’s County Equestrian Special Olympics on Saturday, April 13 from 11-3. There will be vendors, food truck, photo booth, silent auction, bake sale, face painting, pony rides-$5, and of course unicorns & the Easter 🐰 Bunny!!! *Pony rides, face paint, bouncy are additional cost and require tickets purchased at the event. Details: Hop on over to enjoy a home style breakfast. Serving Pancakes, Scrambled Eggs, Hash Browns, Bacon, Sausage Links, Biscuits & Gravy, Milk, Orange Juice, Apple Juice or Coffee. Bring your camera and get a picture with the Easter Bunny! Details: The Lexington Park Vol. Rescue Squad (LPVRS) are hosting an All-You-Can-Eat Breakfast Buffet with the Easter Bunny. Bring the kids and come out and meet the Easter Bunny! Funds from this event go to the Volunteer Fire Dept, & Rescue Squad to keep community safe. Details: Join Mt Zion United Methodist church for a day of family fun. There will be a egg hunt, crafts, face painting, photos with the bunny and food for purchase. Details: Join us for thousands of eggs, tons of candy and prizes and FUN activities on Saturday, April 20! Details: Games, Snacks, Entertainment/Message and More!!!! Details: Come join us April 20th from 1pm till 5pm in our 3rd annual Easter egg hunt here on the farm. Rain date April 27th. We will have lots of activities to participate in such as pony rides, face painting, a bake sale, games, 50/50 raffle, balloon designer and some silent auction items and also local businesses to attend as well. We will have 2 categories for the Easter egg hunt little bunnies and big bunnies. Little bunnies 6 and under big bunnies 7 to 14. We will have food and beverages as well for sale. Location: Get ready for a hoppin’ good time! Macaroni Kid Fredericksburg has once again teaming up with Spotsylvania Parks Recreation and Central Park Fun-Land to bring you a fun packed family Easter event! Free activities include Arts & Crafts with Creative Art Studio, Easter Egg Scavenger Hunt (Easy, Aimed for ages 2-5), Bunny Scavenger Hunt (Hard, Aimed for ages 5-12), Face Painting with Face Painting By Ivy, lots of cool prizes and a special visit with the Easter Bunny! Details: Attention families of the Northern Neck! The Easter Bunny will make his annual appearance at Stratford Hall on Saturday, April 20, for our FREE Easter Egg Hunt! Sponsored and organized by the local #32 Fraternal Order of Police (FOP) of the Northern Neck, the Hunt will begin promptly at 11:00 a.m. Details: Spring is in the air at Kings Dominion! Visit Kings Dominion during spring break open everyday March 30 – April 7! Details: Details: The best way to get direct information about the National Cherry Blossom Festival is by visiting the official website; where you will find details about the festival and a list of events. What I love best about this festival is, it’s not just about celebrating; the events are really about education and culture. No matter what age or budget there is something for everyone. The festivities start off on March 22, 2019 with a Pink Tie Party; which is a fundraiser. The fun really kicks off the Opening Ceremony on March 23, 2019, this free event will be held at the Warner Theatre and will showcase traditional and contemporary performances from American and Japanese artists. You wont want to miss the popular Blossom Kite Festival on March 30, 2019. Our families favorite that we try to attend annually is the Petalpalooza taking place on April 6, 2019 and last but not least the National Cherry Blossom Festival Parade is April 13, 2019. The events listed above are just the tip of the ice. Visit the National Cherry Blossom Event Page for a list of more events. Details: Enjoy a spring day with the family on the farm to celebrate the Easter holiday. Join us for our annual Easter Egg Hunt, Easter Parade and the Easter Bunny! Photo Ops will be available with the Bunny throughout the event. Additional activities include our jumping pillow, egg toss, underground slide, tractor playground, live goats, snacks and more! Remember to Bring Your Own Basket!! Details: Don’t miss an opportunity to spend a day with Thomas the Tank Engine™ at the B&O Railroad Museum in Baltimore! Little Engineers and families take a 25 minute train ride behind Thomas the Tank Engine, meet Sir Topham Hatt, and enjoy a full day of live entertainment, activities, and family fun! NEW this year and for the first time ever children will be able to meet Thomas’ animal loving friend Nia in the form of a ten-foot inflatable—perfect for photo ops! Details: Awesome Con Jr. brings new and beloved toy and pop culture brands together in one area for an interactive and fun-filled live event open to families, fans, and media! Families can expect to meet their favorite characters, experience tons of hand-on activations and visit an entire stage dedicated to kids programming the whole weekend! Details: The third Easter Egg Roll of the Trump Administration will be held on Monday April 22nd. Nearly 30,000 adults and children from across the nation will gather on the South Lawn of the White House for egg rolling, storytelling, picture taking, entertainment and fun activities. Location: The National Zoo, Washington, D.C. Details: The Zoo is always a fun place to celebrate the Holidays! For Easter every year the Zoo hosts Easter Monday’s where little ones can participate in; Easter egg hunts, games, demonstrations and more. For the past three years around Easter time The Playful Parent has partnered with B&O Railroad to host a Spring Giveaway. Usually around this time of year everyone is hosting guess the jelly beans in the jar type of contests. However, on The Playful Parent we guess how many Thomas Minis are in the jar. I love hosting a live video to reveal the answer with my boys helping me count out the trains. To enter the giveaway… guess how many minis are in this container for a chance to win tickets to A Day Out With Thomas at the B&O Railroad on May 3, 2019 at 1:00 PM. Details: Meet at the Shop at Farthing’s Ordinary to join the Little Explorers as we sit in the sun and walk down to the water. Parents – we are not planning on wading in. Instead, will soak up the sun and enjoy the day! 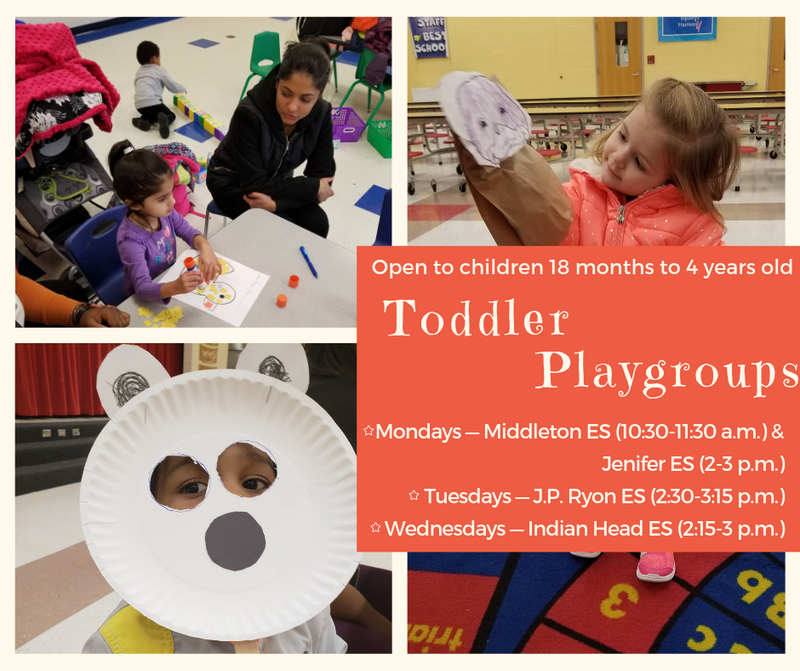 Details: Toddler Playgrounds for children 18 months to 4 years old are held during the week at select area elementary schools. The Parent/Child playgroups encourage a love of reading. Contact Janelle Harris at 301-934-7444 or jharris@ccboe.com for more information. to see food in a new light. Supplies included. Adult (1) participation required.